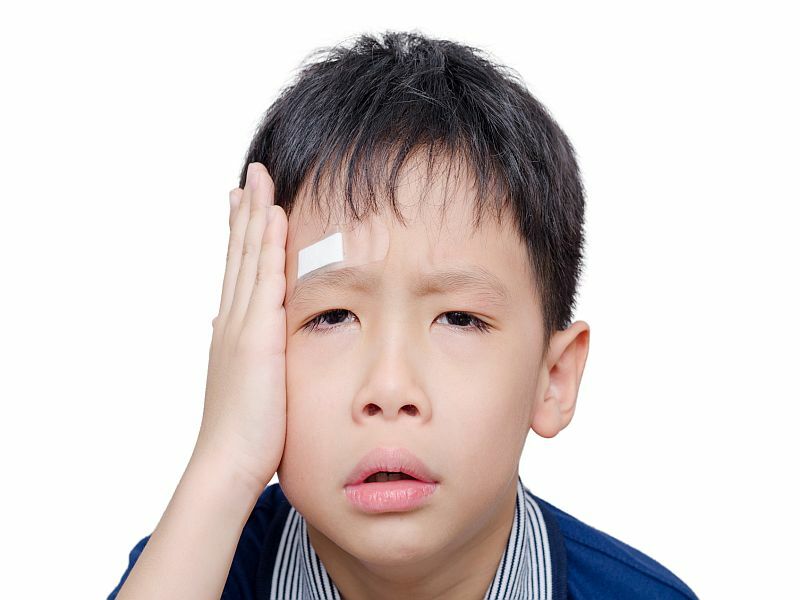 TUESDAY, May 31, 2016 (HealthDay News) -- Because most young children who suffer a concussion aren't first seen in hospital emergency rooms, official tallies of these injuries may be greatly underreported, a new study finds. "Four in five of this diverse group of children were diagnosed at a primary care practice -- not the emergency department," said study author Kristy Arbogast. Also, "one-third were under age 12," she said, "and therefore represent an important part of the concussion population that is missed by existing surveillance systems that focus on high school athletes." Arbogast is the co-scientific director of the Center for Injury Research and Prevention at the Children's Hospital of Philadelphia. Her team examined data on nearly 8,100 children under the age of 18. All were examined for concussion in the hospital's network in southeastern Pennsylvania and southern New Jersey between 2010 and 2014. Nearly 82 percent of the children underwent their first concussion visit in a primary care physician's office, not an ER, the study found. In fact, only about 12 percent had their first concussion-linked medical visit in an ER. Age was a significant factor in all of this. According to the study, more than three-quarters of children ages 5 to 17 were first seen in primary care. For those ages age 4 and under, only 52 percent were first seen in an emergency department, the study found. Kids with Medicaid coverage were more likely to make their first visit to an emergency department versus those insured in other ways, the research showed. Based on their findings, the study authors believe that "efforts to measure the incidence of concussion cannot solely be based on emergency department visits, and primary care clinicians must be trained in concussion diagnosis and management." As the authors noted in a hospital news release, bringing kids with a suspected concussion to a doctor's office isn't necessarily a bad idea. Arbogast's team said kids often get attended to faster in a doctor's office than in a crowded ER. That can mean more timely treatment, and most concussions will resolve within two to three weeks, the researchers said. Kids whose concussion symptoms don't ease in that time span should be sent to specialist care, the researchers said. An expert at the U.S. Centers for Disease Control and Prevention believes more must be done to track pediatric concussions treated outside the ER. "We need surveillance that better captures concussions that occur in children and adolescents," Dr. Debra Houry, director of the CDC's National Center for Injury Prevention and Control, said in the hospital news release. "Better estimates of the number, causes and outcomes of concussion will allow us to more effectively prevent and treat them, which is a priority area for CDC's Injury Center." Two other experts agreed that family doctors have a role to play in concussion care. "This study demonstrates the importance of incorporating the primary physician in the treatment team as our youth work through concussion," said Dr. Rupi Johal, a primary care sports medicine physician at Winthrop-University Hospital, in Mineola, N.Y.
Dr. Mitchell Price directs pediatric trauma at Staten Island University Hospital, in New York City. He said that very young children with a suspected concussion often show up first at ERs, "due to heightened, parental concerns." "But, we also see a fair amount of older children [4-17 years old], in our system, with sports, school, and playground-related closed head injuries," he said. However, Price added, "I wholeheartedly agree that education in regards to concussion diagnosis is important in our pediatric provider community, considering the findings of this study." The study was published online May 31 in the journal JAMA Pediatrics.